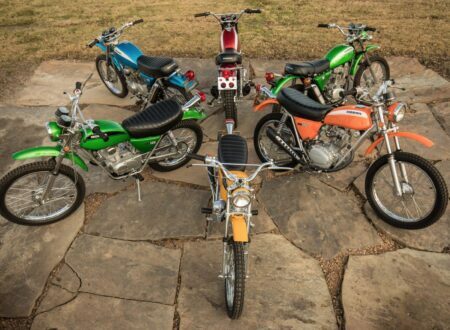 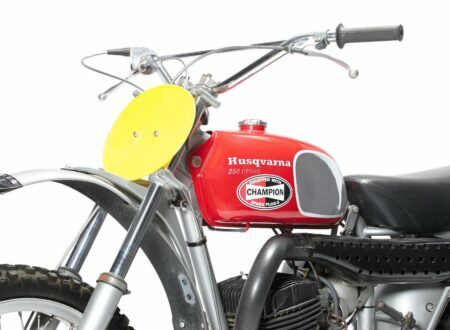 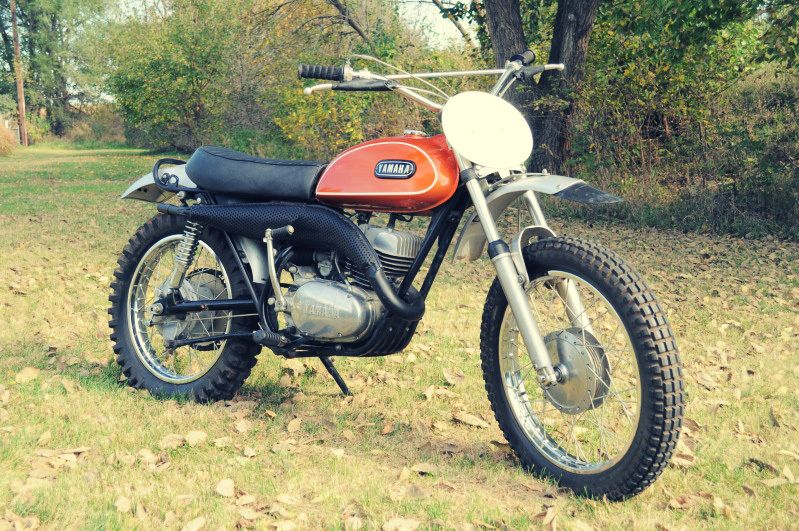 The 70’s were a golden era in the production of off-road motorcycles, it may just be my personal preference, but vintage bikes like this just look an order of magnitude better than the plastic and graphics covered dirt bikes of today. 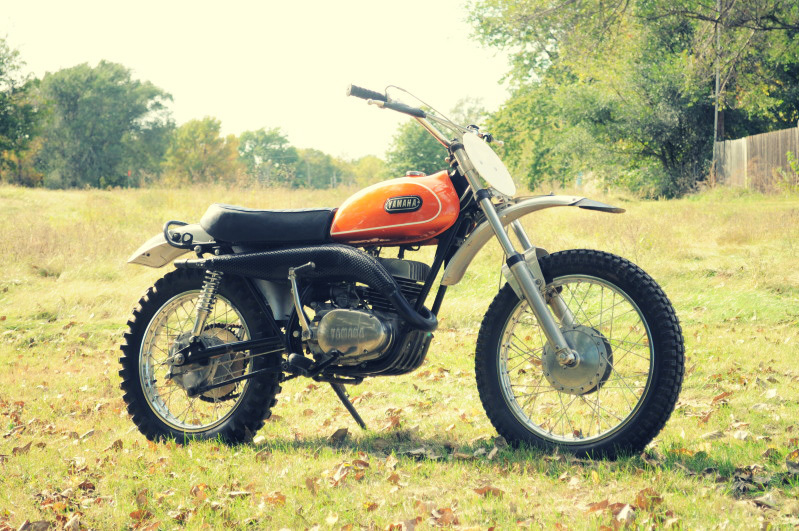 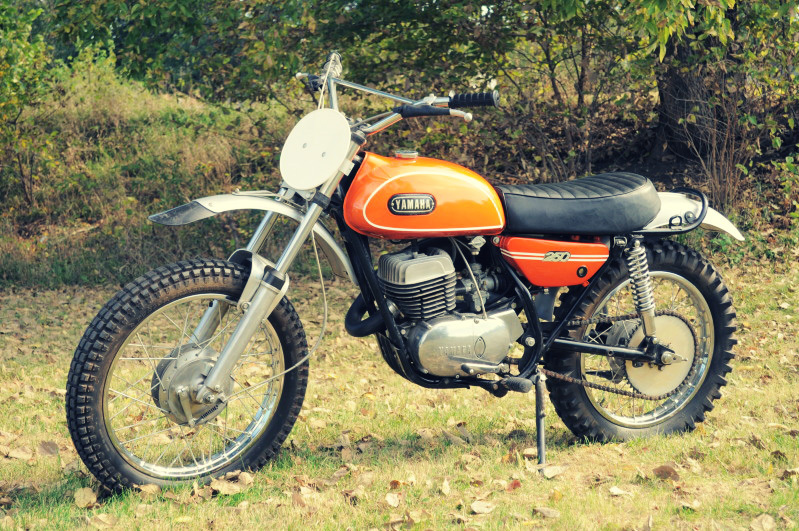 This 1971 Yamaha DT1 MX has a 250cc 2-stroke, single cylinder engine capable of punching along any trail you throw at it. 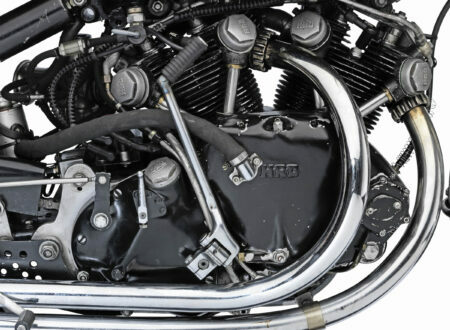 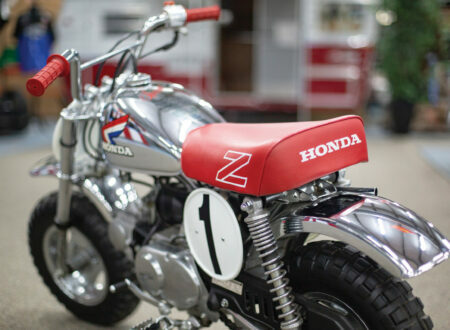 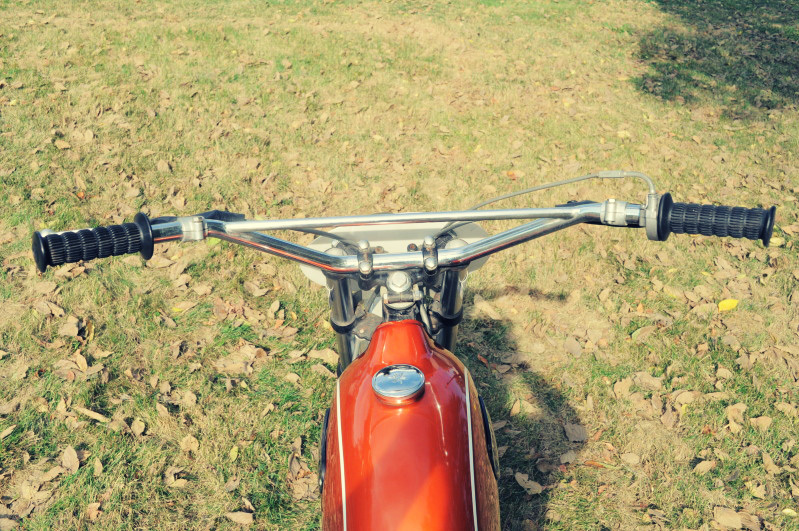 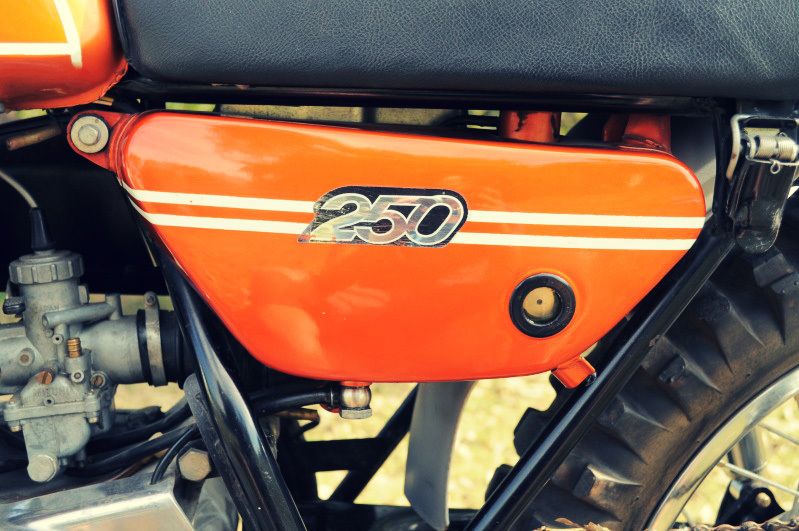 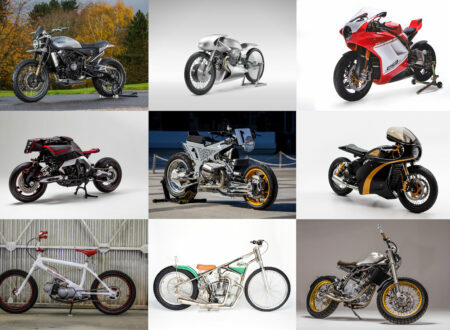 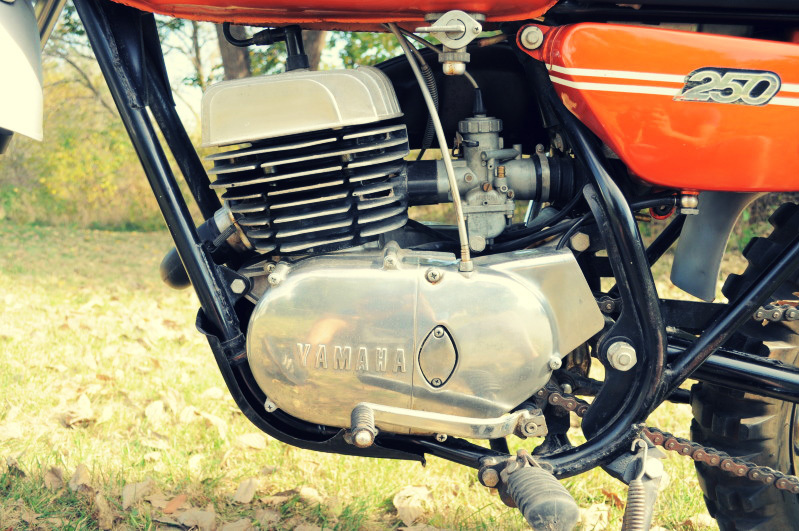 The current owner used the bike as an ornamental piece in his home, which goes a long way towards explaining how clean and tidy the bike currently looks. 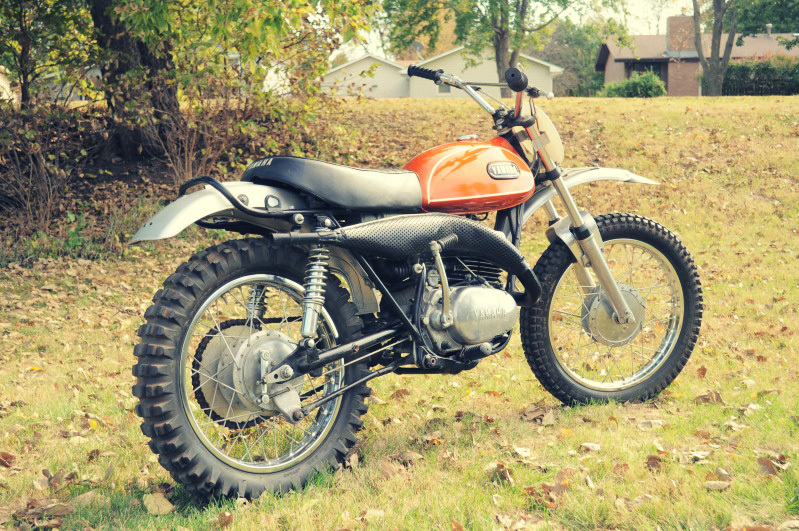 If you’re in the market for a retro trail pounder, this one is listed on eBay now with the price currently at $3,200, check out the listing here.